Oral health directly relates to overall health. To maintain the best oral health care you can, it is important to follow some basic preventive dental care tips. Brushing and flossing are very important to your oral health. Brushing and flossing twice daily, and after meals, helps remove plaque from your teeth. If plaque attaches to your teeth, it leads to decay and cavities. The prevention of dental decay is one reason great oral health is so important. Take your time while brushing. We recommend two minutes. Use a comfortable toothbrush. If you suffer from arthritis, or other health issues, an electric toothbrush may be more effective for you. For proper brushing techniques, ask our staff for pointers! Make sure you take care of your toothbrush. Store it in an area where it can air dry, so that bacteria do not form on it. Your initial hygiene (dental cleaning) appointment will typically last between one and one-and-a-half hours. After that, routine checkups are less than one hour. You'll receive a consultation, cleaning, andexam by the doctor. One of our dentists will examine your teeth and gums, and a comprehensive oral exam will be completed, including an oral cancer screening. If you have a particularly complex treatment plan, we will typically schedule a specific consultation so that we may address your needs thoroughly and answer any questions. At this consultation, photographs will be taken of your teeth and also models of your teeth will be made to help the dentist plan out and sequence the treatment options. Keep cavities at bay with sealants. Sealants cover the back teeth, protecting them from cavities. The sealant is a white resin liquid, applied to your teeth during a routine dental cleaning. We recommend sealants for kids and teens, but sealants can be used for everyone in the family. Eating right and taking care of your overall health benefits your oral health, too. A diet rich in fiber, calcium, and phosphorus is excellent for maintaining healthy teeth and gums. Oral health affects overall health, as well. Keeping your teeth and gums healthy can improve your health in general. A healthy mouth not only increases self-esteem, it can also lower infections, and may be linked to lower heart disease and increased memory. At Walbridge, we take oral health very seriously. To keep your mouth as healthy as possible, we offer oral cancer screenings to our patients. Oral cancer screenings are recommended for everyone, regardless if you have symptoms or not. It is best to check the health of your mouth regularly, so that anything abnormal can be detected quickly. Finding abnormal tissue early is important. By routinely checking your teeth, gums, and overall oral health, we are better able to treat any issues that may arise. 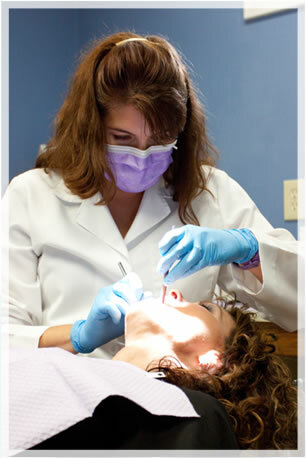 This service is performed free-of-charge during the dental cleaning appointment for every patient. Please contact Walbridge Dental to schedule an oral cancer screening today!